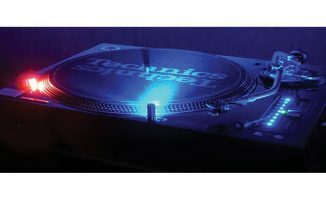 Panasonic has suggested it is to release a new Technics DJ turntable. 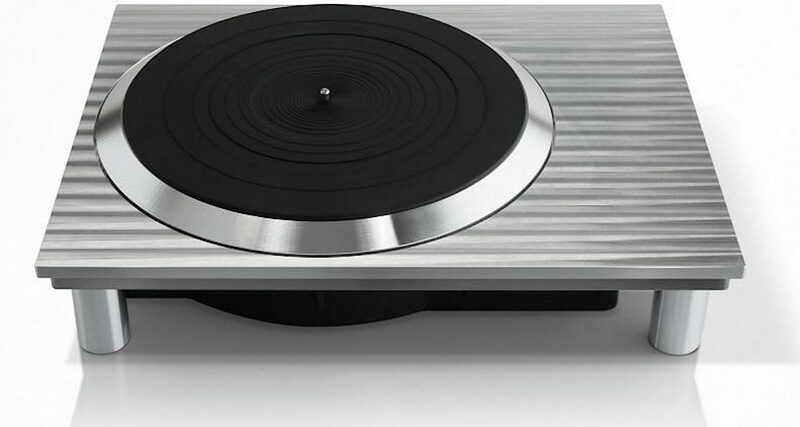 In a flurry of activity yesterday, the company announced it was working on a new turntable by showing off a largely unfinished turntable prototype at IFA 2015 as reported by What HiFi? and Engadget – then immediately added to the intrigue by suggesting a DJ model was indeed in the works in reply to a Twitter question. 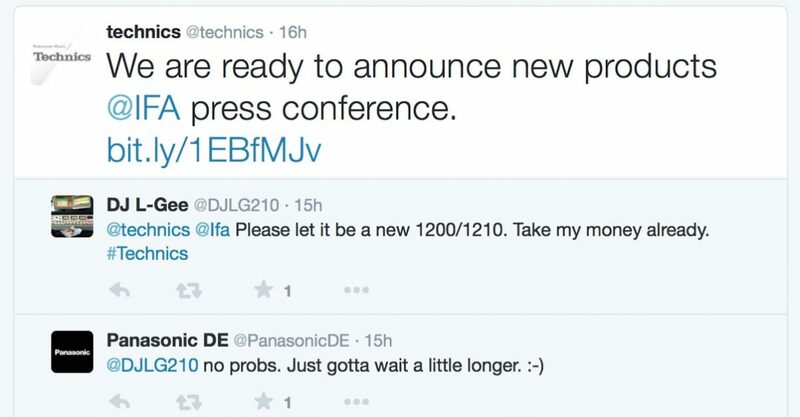 Were a new Technics-labelled DJ turntable (read: a revival of the SL1200/1210) from Panasonic, the owners of the Technics brand, to hit the market, it’d be great news for many, But nonetheless it’d also be interesting to see how it fared among the small number of diehard vinyl users and the larger number of DVS users who would be the market for such a device – especially as the undisputed king of the DJ booth, Pioneer DJ, now has a viable model. What do you think? Likely or not? does it even matter in 2015? Please share your thoughts below. It would be sweet if it doesnt cost the earth. If it comes under PIONEERS price then they might start a market war and prices may be more realistic. 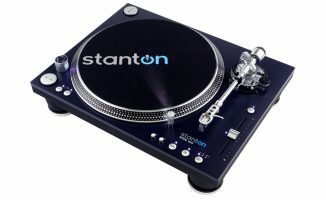 From many technical standpoints, there are current model (Super-OEM) turntables that have the SL1200 beat on many levels. So clearly they can’t just revive the 1200, it’s main selling point would be nostalgia, really. Maybe if they did what Pioneer didn’t do, add digital components to appeal to the DVS community, they might have something. After all, not everybody wants Pioneer gear and/or is willing to pay the brand-bonus. I guess we will know soon. 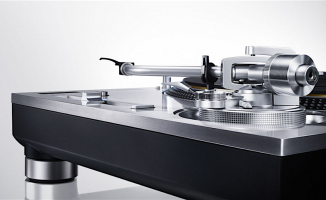 None of the Super-OEM including the Pioneer come any where close to the build quality and repairability of the Technics. This guy does a extensive breakdown and test of the PLX and it’s not that great. 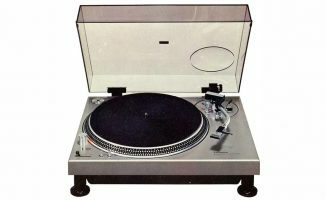 I would not be all that surprised, if the revived SL-1200 would turn out to be a Hanpin Super-OEM turntable with a casing that look exactly like the old SL-1200. Not that I would mind. Personally I think the SL-1200 still looks better than any current Super-OEM turntable. With SL1200 mk 2 still fetching $1600 Australian dollars for a second hand pair, I’d have to say this could only be a good thing. I don’t know about the Technic possibility but I do know the deck in the photo would look good in my living room.